Perfect for roadside use and forestry applications. The Classic Forest High Viz Jacket from Husqvarna has been tested to EN ISO 20471 Class 3, the highest standard possible. This means it is ideal not only for use in forestry applications but also at the roadside. 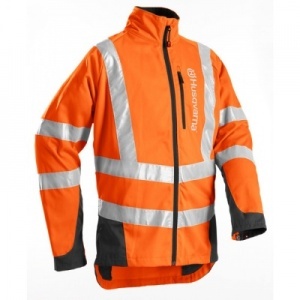 It ha a comfortable design utilising high-quality polyester/cotton twill, and you can choose from six sizes to suit you.